When I got her she was one week old and weighed 3.5 lbs. 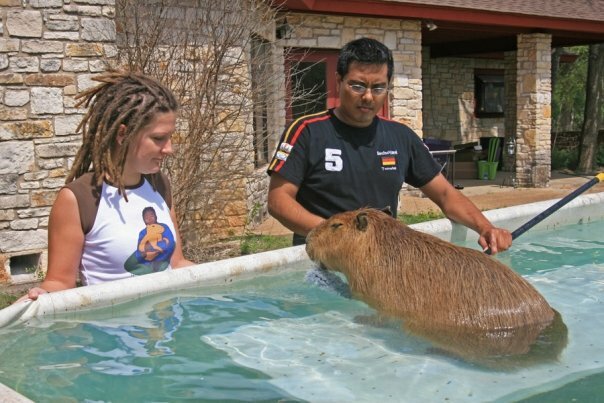 That is about the size of a large guinea pig. Today, at two and one half years, she is 130 lbs. That’s huge, believe me, I know, I have to live with that giant animal every day. The red line on the chart represents her actual weights. The black line is a running average over four data points. The running average helps to minimize aberrant values and more clearly shows trends. 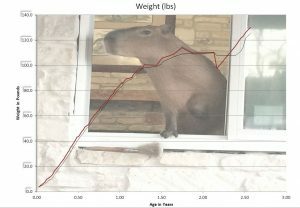 The left lower corner of the chart shows her initial growth rate, which was about 1.5 lbs per week. That’s a whole lot for a little ‘bara. To be honest, Mudskipper’s weight gain was a little faster than average based on the data collected by the ROUS Foundation. 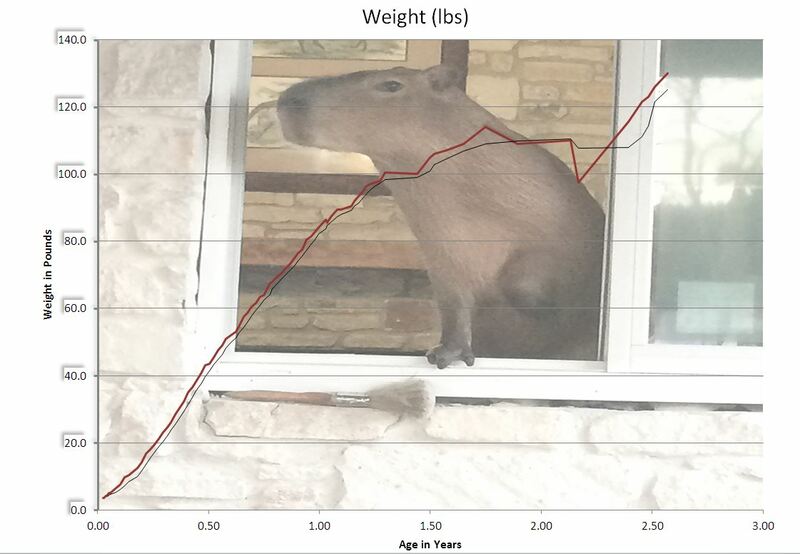 You can see by the chart that her rate of growth remained fairly constant until she reached one year old. After that it became flatter and more erratic. From about 1.75 years until 2 years her weight was all over the map. This reflects the fact that I was having work done on the house. The initial issue at one year was due to the installation of a new fence around the yard. The later volatility came when I was having major work done inside the house. Skipper is a shy animal, she scares easily. Having all the noise and the people and moving furniture was almost too much for her to handle. To make things easier, I spent nearly all of every day hugging her and letting her know things were okay. She didn’t believe me. The workers thought I was crazy (and lazy) as I spent most of the day on the bed while she hid under the covers. 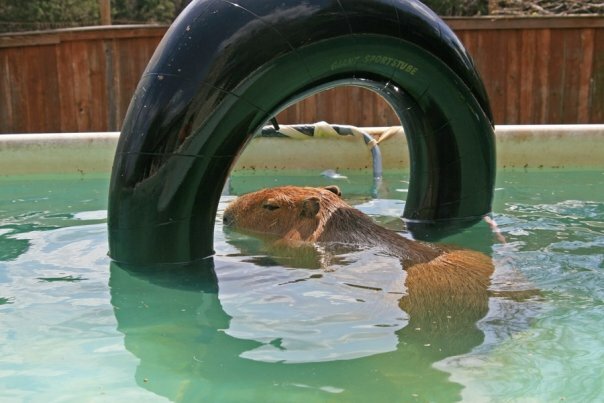 Ah, what people won’t do for capybaras! When construction stopped, her weight gain went back to its normal self, a little quicker if anything. What’s surprising about this is that she is 2.5 years old. I would have expected her to have stopped growing by now. I know what you’re thinking, she must be getting mighty fat. However, this is not true. I had the vet out from Texas A&M to take a look at her because I was worried she was too thin! The vet says she’s fine, muscle mass is good, coat is nice, eyes, ears, stomach, legs, feet, everything seems good, but she is a little thin. She could stand to put on a bit more weight. And that is what she’s doing, putting on more and more weight. But she still looks a little thin. Along with the weight, she has also been getting taller. She can hardly fit through her pet door anymore, she has to scrunch down to get through. It is a large dog door but we might have to go to move up to extra large. Given the current growth tend shown on the chart, she should reach infinitely large within a year or so. 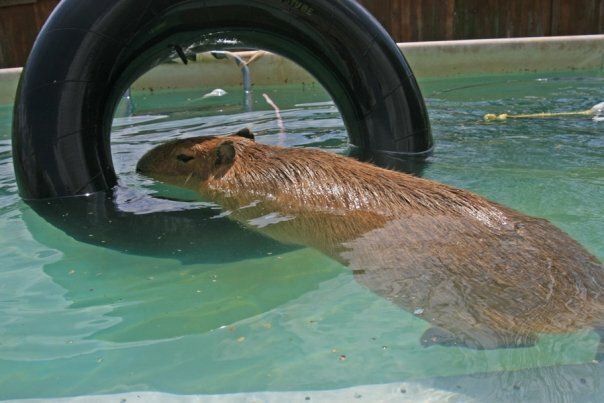 We don’t have to worry about North Korea and nuclear annihilation, we’re all going to be trampled by a godzillaesque giant capybara! Let’s get some feedback! Leave a comment about how you think Skipper’s weight compares to other animals (including people) that you know. Where do you think Skipper will top out? 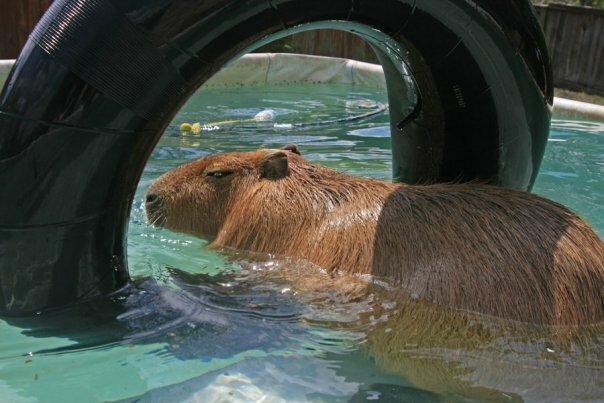 The largest known capybara was an estimated 250 lbs, do you think Skipper will go for that? How big do I need to make her new pond? Is she going to need a kind size bed all to herself? 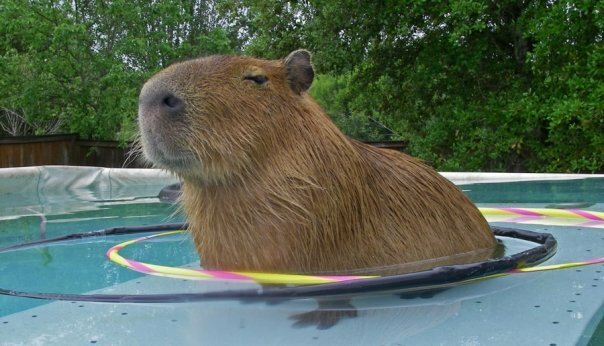 Infinitely large capybara sounds like the hero we need. She will keep us all safe and bring about world peace by puffing up and rolling around. Can’t wait to see more, Skipper is always so entertaining! What a big girl! She certainly weighs more than many Peace Corps volunteers here in Zambia! I am going to guess she tops at around 150lbs. 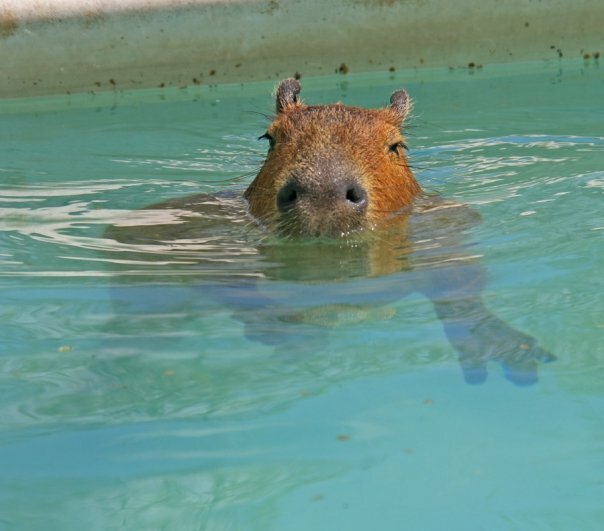 More seriously now… Do females capybara get bigger than males? Or is the other way around? Females are supposed to get marginally bigger than males, although different sources have different views on this. 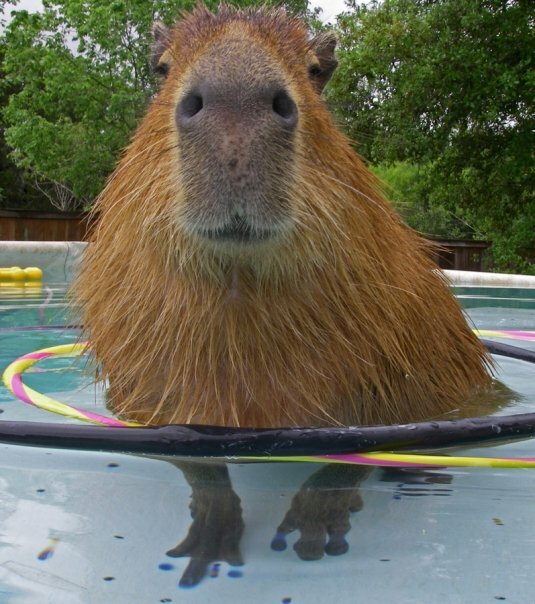 The reported size range for wild adult capys is typically given as 120 -140 lbs. The thing about Skipper is that, other than the erratic growth during construction, her growth rate has not slowed.It’s not going to suddenly just stop, so who knows where we are going with this! Melanie, this post is perfect for my students who are learning English as a second language in Austria. One of the things they have to master is how to describe charts and graphs and to account for the trends and results. You use all of the language that they should have in their active vocabulary and the topic is so much more interesting than they get in their textbook! I will be linking to this post as soon as school starts (week of September 11). Love following you, Skipper, Driftwood and the gang! 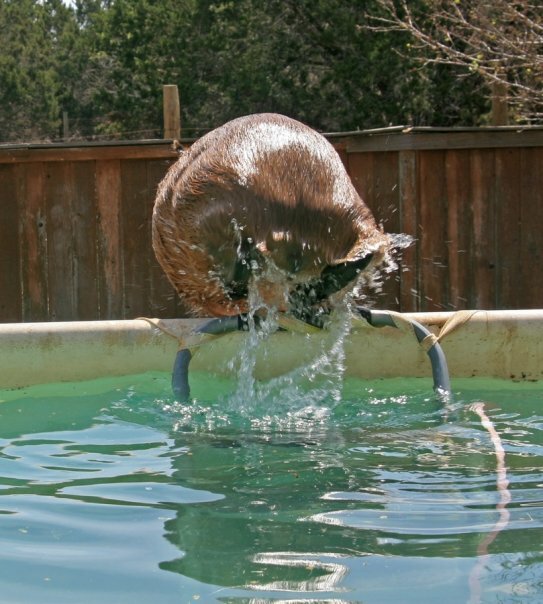 Capys don’t have indeterminate growth, so she will stop eventually. I think.